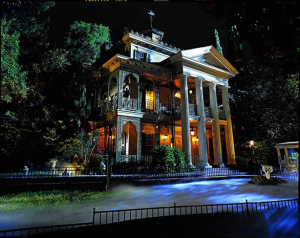 Disney Television Animation is celebrating the 45th anniversary of Disneyland’s Haunted Mansion attraction in a big way. The Haunted Mansion special will be animated by legendary horror genre artist and children’s book illustrator Gris Grimly (Gris Grimly’s Wicked Nursery Rhymes), who also will exec produce and art direct. Scott Peterson (Phineas and Ferb) will serve as writer, EP and story editor. Joshua Pruett(Phineas and Ferb) is on board as a consulting producer and writer.